The pallet is more muted and restrained than is usual in the ‘gouged’ series. 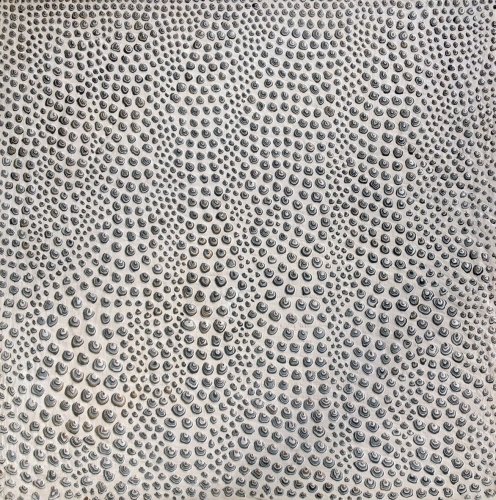 The circles are gouged by hand, working within a specific predetermined methodology - lines from left to right, starting in the top left hand corner until the whole surface is covered. The rhythms, movement and the colours revealed are determined by the imprecise and unpredictable nature of this repeated human action which almost becomes a visual map of the temporal activity. in collaboration with composer John Lunn and Director Olivia Fuchs.